Philodendrons prefer moderately bright. Keep the soil evenly moist, but allow to dry out between waterings, slightly drier in winter months. 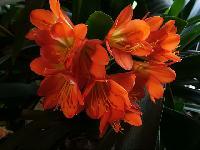 Feed in the spring and again in mid summer with a liquid house plant fertilizer. 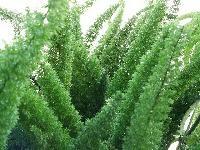 False Aralias are small, tropical evergreen trees that are native to the islands of the South Pacific. 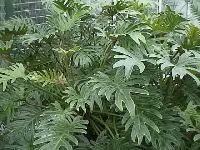 In their native environment, Schefflera elegantissima can grow up to 26 feet tall, but when grown in pots or planters they seldom reach more than 4 6 feet tall. 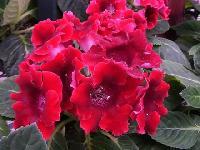 Crossandras prefer bright filtered light, in warm temperatures (75degree) with relatively high humidity, so set planter on tray filled with moist stones. Allow soil to dry slightly before watering. They will not tolerate temperatures below 60degree! Should be grown in bright indirect light and kept at 65degree 75degree while growing. Feed monthly with house plant food when growing and mist the plant occasionally. Blooms best when pot bound. Requires dormancy from Oct. to Jan. when they can be kept cooler. 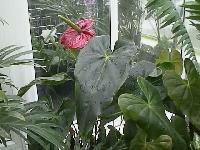 Flamingo Flower plants are durable and fairly easy to grow house plants that will thrive for many years under ideal conditions and can even survive for a year or two in the most adverse situations. They need bright light but never full sun, and high humidity. Foxtail Ferns produces arching two foot fronds of dense light green needles, creating the illusion of a pack of upright fox tails. Tiny white flowers in the summer are followed by bright red berries in the fall. Foxtail Ferns are very similar to Sprenger s Asparagus except much denser. Friendship Plants are native to Central and South America, where they are known as Panamiga plants.They are creeping plants that form dense, 8inch 12inch tall mounds of deeply textured, oval, 2 and halfinch leaves. 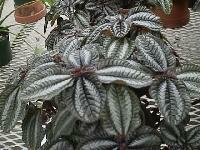 The foliage color varies, but the most common variety has dark, reddish brown leaves gilded with silver or copper. 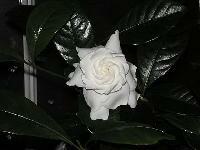 Gardenia requirements are very exact. Flower buds will fail to form if day temperatures are over 70degree or night temperatures are over 65degree or below 60degree. Feed every three weeks while growing with an acidifying fertilizer. 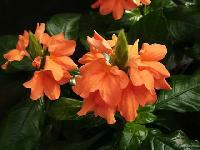 Gloxinias require bright light but not direct sun, and should be grown in a humid area at 60degree 75degree. Plant tuber, hollow side up, in rich, light soil. 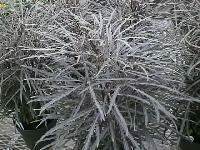 Water sparingly until first leaves begin to grow, then gradually increase. Blooms for 3 4 months. Golden Pothos are one most popular of all house plants. They are attractive, durable and easy to grow vines that have smooth, leathery, heart shaped leaves with distinctive marbling alternating along rope like green stems. 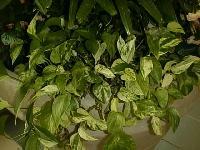 Pothos vines are among the top ten air purifying plants for indoor use.